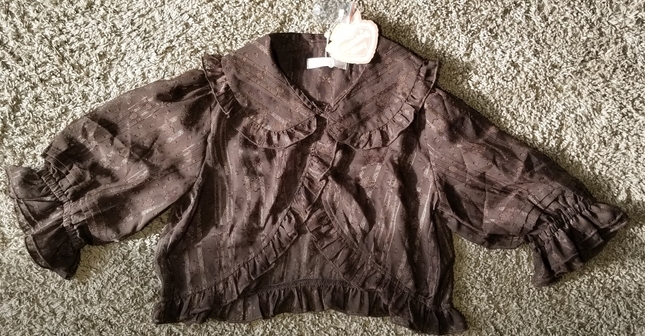 Cute taobao bolero brand new with tags! I accidentally purchased wrong color so I'm selling. Features a cute floral print made out of very sheer chiffon so its best for warmer weather. also it stretches in the sleeves so it makes it very comfortable! Comes from a pet free smoke free home. I'm not quite sure how to measure it but it fits the same as AP boleros if that helps. if you need a specific measurement though please let me know and I will do my best to help.